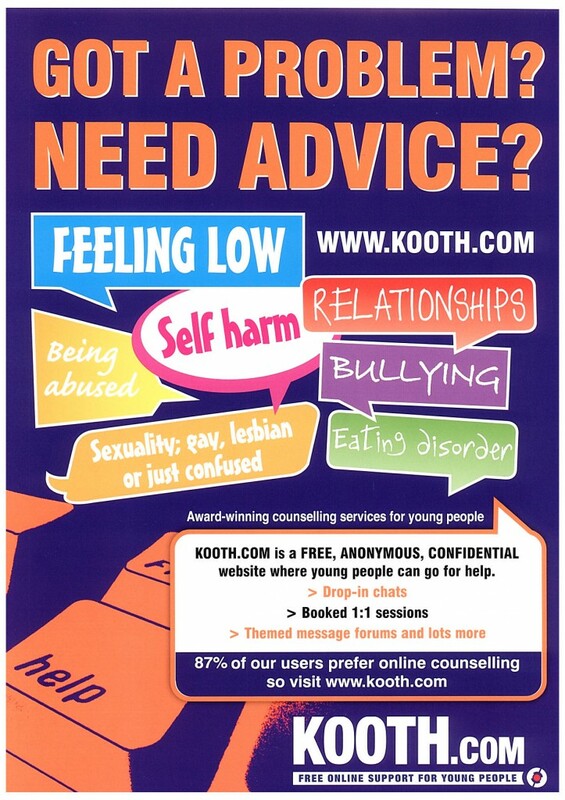 Kooth is a free online service that offers emotional and mental health support for children and young people. When you sign up you can choose an avatar, which helps to keep you safe and anonymous. You can have a “drop-in” chat with a counsellor or therapist or book a one-to-one session. Kooth’s counsellors and therapists are available until 10pm, 365 days a year. You can talk to other young people anonymously on the forums whenever you like, and keep an online journal. If you have concerns about your health, there are people you can go to for advice. Remember, by ‘Health’ we mean your body and your mind. You may be physically well but anxious, or unhappy. So, where can you get help or support? Eating a healthy, balanced diet is an important part of maintaining good health, and can help you feel your best. It can be simple, too. Just follow these eight tips to get started. Eat the right number of calories for how active you are, so that you balance the energy you consume with the energy you use. If you eat or drink too much, you’ll put on weight. If you eat too little you’ll lose weight. The average man needs around 2,500 calories a day. The average woman needs 2,000 calories. Most adults are eating more calories than they need, and should eat fewer calories. For teenagers (11-14 yrs) it is slightly lower, with Boys needing 2,220 and girls 1,845 calories per day. Besides enjoying the health benefits of regular exercise, teenagers who are physically fit sleep better and are better able to handle physical and emotional challenges — from running to catch a bus to studying for a test. Finding an activity they are interested in can be tough, but there are a whole range of activity experiences available, just find one that suits. Look at the local leisure centre or community centre at what courses and activities they offer. Even going out on a bike ride or for a walk in the evenings can help! Most teens need about 8½ to more than 9 hours of sleep each night. The right amount of sleep is essential for anyone who wants to do well on a test or play sports without tripping over their feet. Unfortunately, though, many teens don’t get enough sleep. Until recently, teens were often given a bad rap for staying up late, oversleeping for school, and falling asleep in class. But recent studies show that adolescent sleep patterns actually differ from those of adults or kids. These studies show that during the teen years, the body’s circadian rhythm (sort of like an internal biological clock) is temporarily reset, telling a person to fall asleep later and wake up later. This change in the circadian rhythm seems to be due to the fact that the brain hormone melatonin is produced later at night for teens than it is for kids and adults. This can make it harder for teens to fall asleep early. These changes in the body’s circadian rhythm coincide with a time when we’re busier than ever. For most teens, the pressure to do well in school is more intense than when they were kids, and it’s harder to get by without studying hard. And teens also have other time demands — everything from sports and other extracurricular activities to fitting in a part-time job to save money for college. Early start times in some schools may also play a role in this sleep deficit. Teens who fall asleep after midnight may still have to get up early for school, meaning that they may only squeeze in 6 or 7 hours of sleep a night. A couple hours of missed sleep a night may not seem like a big deal, but can create a noticeable sleep deficit over time. Relax your mind. Unwind by keeping the lights low. Create the right sleeping environment. Wake up with bright light. Whilst most families are supposed to have a kind and caring relationship, it is not uncommon for families to have times where they do not get along (even in families that very rarely argue). If you are concerned about any of the above the best thing you can do is talk to someone. Who could you talk to? Cyberbullying is the use of the Internet and other technologies such as mobile phones and devices which can send and upload messages/images in a way which is intended to cause harm other people, in a deliberate, repeated, and hostile manner. At Brockington College cyber-bullying is treated as a very seriously and is dealt with in the same way, and with the same severity, that we deal with incidents of any other form of bullying. 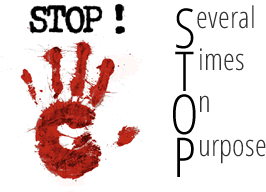 So that we can help you to ensure the bullying stops you must tell someone! Whilst Brockington College makes every effort to protect you from unsuitable content on the internet and via email we realise that a large number of you use the net outside of the school environment. Please have a look through the information below to make sure you use the internet in a safe and responsible way. Everyone has problems with schoolwork sometimes. Try to keep things in perspective. Getting one or two bad grades doesn’t mean you’ll fail your Assessments. Work out why it’s happening and how you can fix it. Homework can seem never-ending and you need to find ways of managing your time effectively. Study somewhere quiet away from the TV and other distractions and make sure you don’t leave it all to the last minute. If you hate a subject you’ll probably never learn to love it. However, with a good range of qualifications you’ll stand out from the crowd when you apply for jobs and college so it’s worth doing your best in all your subjects. There are lots of websites offering study support and you should ask your teachers for advice – they’re there to help you learn. If something at home or in your personal life is worrying you, it can distract you from your schoolwork. Talk about it to your family and friends or a teacher you trust. Alternatively, call ChildLine – they won’t judge you and won’t tell anyone about your call. If you’ve missed classes for any reason, talk to your teacher about what you can do to catch up. Some people deal with stress in the right way; by doing exercise, spending time with friends or relaxing by themselves. Others don’t deal with it in the same way and can sometimes make bad decisions that put themselves and others at risk. You could try: screwing up paper and throwing it, snapping twigs, running, doing some exercise, squeezing clay, hitting a rolled up newspaper on a door frame, screaming, crying, or a cold shower. You could try: having a bath, listening to music, burning incense, phoning a friend, writing, painting, or listing good things about yourself. You could try: organising something, cleaning or tidying, solving a puzzle, setting a target time. You could try: being around people who make you feel good, craft activities, make a photo collage, focusing on something like breathing, playing an instrument, baking, playing computer games. You could try a hot or cold shower, drawing on the body with red pen, massaging lotion into your skin, squeezing ice cubes or biting on lemon for the “shock factor,” or painting nails. The key message to all students having problems and difficulties, or simply looking for advice is to let us know. We can only help and make a difference if we know there is a problem. Only then can we try to deal with it appropriately. We appreciate discussing certain matters face-to-face with an adult can be tricky and uncomfortable so if you feel you cannot talk directly to either your form tutor or head of year please send an email to pastoral@brockington.leics.sch.uk. This email is checked regularly by members of the pastoral team who will respond to you as soon as possible. Also, if you would like to report any incidents of bullying, either to yourself or that you have witnessed around the college please fill in the ‘Voice It!’ form below or use the ‘Voice Box’ outside room 018 to let us know. Names are entirely optional!